If you are lucky enough to be a pool owner, you know how fantastic a dip in the cool water during the hot Roseville’s summer can be. To make sure your pool is fun and safe; however, you need to properly maintain it. Proactive maintenance can save you loads of money in the long term and hiring a weekly pool service can be a cost- and time-efficient solution that guarantees crystal clear – and clean – waters all year round. Pools that are not maintained properly may pose a threat to your health. The water is an ideal breeding ground for a range of harmful microorganisms and the build-up of debris, dirt and grime are often not visible to the naked eye. 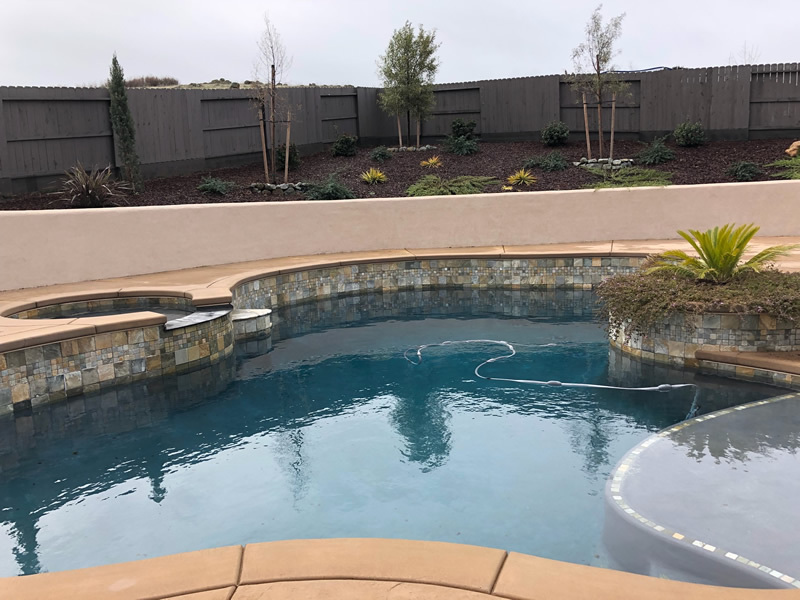 Pool service experts in Roseville recommend booking a weekly pool service to ensure the sparkling water of your pool remains safe and to eliminate serious health problems for those in and around your pool. In addition to keeping your pool safe and clean, a weekly pool service can also ensure the proper balance of chemicals in the water. Non-professionals may have a hard time figuring out the right ratio of different chemicals but improperly balanced poor chemicals can cause chemical irritation and illness or injury to the eyes, nose and the throat. Roseville pool service experts possess the necessary knowledge to achieve the right balance and can mean the difference between a safe and a dangerous pool. Last but not least, booking a weekly pool service can save you money in the long term. Properly maintaining the water is the most effective way to prevent corrosion damage to the pool pump and other components. Weekly pool service in the form of maintenance, cleaning and checkups, is necessary to ensure your Roseville pool remains a safe and fun place for you and everyone around you. If these tasks seem too daunting to you, consider hiring a pool company and keep your pool up and running with minimum effort.